12 Inflatable Tie-Dyed Beach Balls. 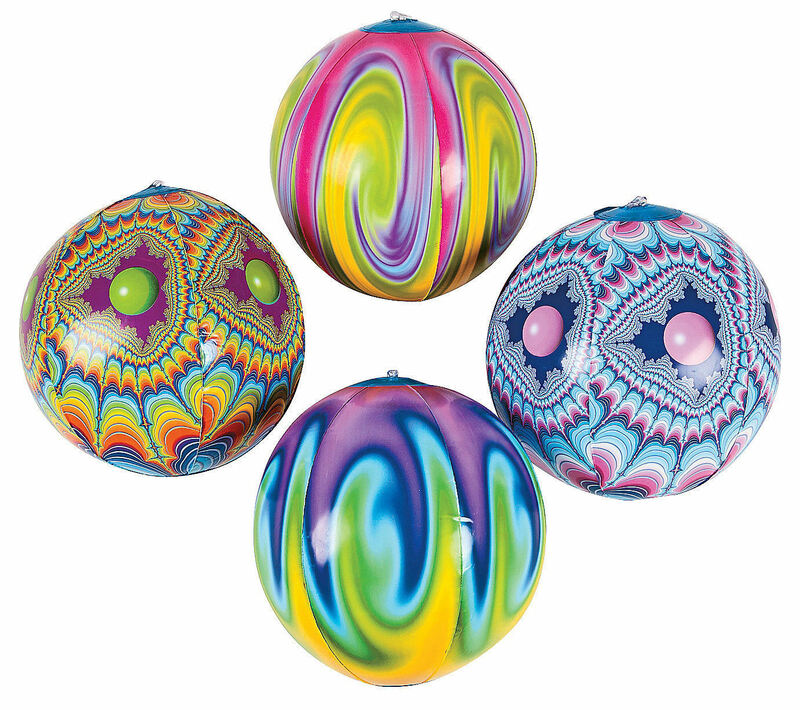 Find a variety of colorful patterns on each vinyl ball! 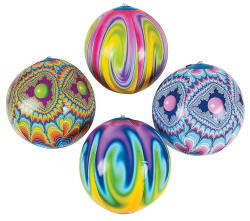 Need some big fun for pool party games or beach party decorations? These mosaic and swirly bouncers are sure to make guests’ eyes and smiles go wide! Inflate these folksy and fun beach balls to toss around at your 1960s-themed clambake or retro beach bash! Prepackaged in lots of 12. They measure about 12" Across (about 9" inflated). Please note the balls may have a small logo on the side. Each ball is individually wrapped.